What’s going on with Idaho’s high school graduates? That’s the question that has many education advocates scratching their heads. Despite a massive media campaign and efforts by the Legislature, Idaho’s college go-on rate fell from 54 percent in 2013, to 52 percent in 2014, to 46 percent last year. The go-on rate is important because Idaho needs 60-68 percent of its workers to hold a post-secondary credential. Currently only about 40 percent of our workers do, only ahead of Mississippi, Alabama, West Virginia and Nevada. One State Board of Education member blamed the declining rate on the improving economy. The theory is in a strong economy many high school graduates would rather get a job that pays relatively little than to attend post-secondary and earn a higher salary over their lifetime. Research tends to back this up. A senior exit survey released by the Treasure Valley Education Partnership (TVEP) showed that 37 percent of the 5,400 seniors surveyed said they planned to get a full- or part-time job after graduation. One surprising statistic was the huge gap between what students say they are going to do and what they end up doing in the fall. Seventy-three percent of the seniors responding said they planned to attend either a four- or two-year college. Forty percent even expect to get a master’s degree or higher and 34 percent a bachelor’s degree. In other words, our students have high aspirations, but when it counts many don’t show up. In 2015, just 49.7 percent of the seniors who are part of TVEP — the Southern Idaho Conference schools and Bishop Kelly — enrolled in the fall, slightly higher than the state average. What we don’t understand is why there is such a gap between students’ good intentions in May and their decision not to enroll by September. There was some good news last week to go with the bad. This fall enrollment is up at several universities and colleges. It looks like the State Board’s new direct admissions policy, along with a strong focus on recruitment is helping. This is encouraging, and hopefully will be reflected in an up-tick next year when the 2016 go-on numbers are released. But we still need to do more to get our students to go on and graduate with a credential if we are to have the educated workforce our employers need. Although the state has adopted many good policies and investments, we need even bolder steps or our economy will suffer. Clearly we need to solve the “summer melt” when students say they plan to go on and by September choose otherwise. A coordinated effort between high school advisers and the higher education institutions would help. We also need to convince students earlier than high school that going on is in their self-interest. The TVEP survey showed that 67 percent of the students made up their minds to go on by eighth grade. Yet almost all the money we spend on advising is aimed at high school students. We also need to convince parents that their children need a post-secondary education because the TVEP study shows that families influenced the decision of nearly 80 percent of the students. How many of those parents didn’t talk to their children about going on or even discouraged it? We don’t know, but there is anecdotal evidence it happens. We also need to bust three myths. First is that everyone must get a four-year degree. Yet employers are crying out for workers with a two-year degree or workforce-ready certificate and these jobs often pay in the high five figures or more. Second is that college is too expensive. Truth is students are leaving a lot of grant and scholarship money on the table, probably because they don’t know it is there. Third is that it’s not worth going on. Yet getting a post-secondary education is the best economic decision anyone can make. On average, someone with a college degree earns $85,000 per year compared to the $30,600 a high school graduate earns. That extra $50,000 can determine whether someone can buy an old pickup or a shiny new one. Buy a house someday or rent. Support a family. Or not. 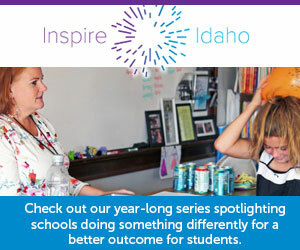 It’s past time for all of us to see the connection between education, Idaho’s economic future and the personal future of every child. And it’s time to take even bolder steps to get us to a more educated Idaho.